Mirror Game is an interesting story, well-executed but everything moves so slow you have to pinch yourself to keep awake. The twist in the story is good, very good perhaps. 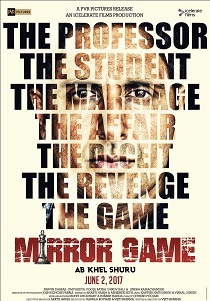 Mirror Game' is just like the game of Ludo, where there is good amount of excitement but with lots of waiting.